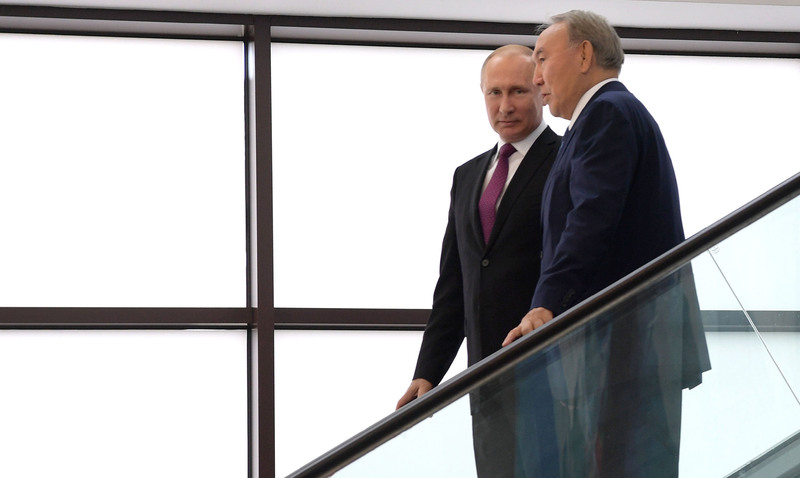 ALMATY -- Joining the Eurasian Economic Union (EEU) has brought Central Asian countries a number of economic, geopolitical and even social problems, observers say. The EEU is a regional economic bloc formed in 2015, comprising several former Soviet states -- Russia, Kazakhstan, Kyrgyzstan, Belarus and Armenia. The bloc's rotating chair is currently held by Russia. It is one of various security or economic alliances Russia has cobbled together in an effort to keep former Soviet republics from drifting away. Others include the Collective Security Treaty Organisation and the Shanghai Co-operation Organisation. The EEU has common customs frontiers as well as freedom of movement of goods, services, capital and labour among the member states. By agreement, the members of the union are supposed to conduct a common economic policy -- implicitly requiring Russia's approval -- to increase their competitiveness and to develop more efficiently. However, the promised benefits of the bloc have not materialised for the Central Asian members, according to economists. Before Kazakhstan joined the bloc in 2015, Denis Krivosheyev, an economist from Almaty, warned that signing the agreement could "lead not only to worsening of relations between [Kazakhstan and Russia] but to domestic social discord as well". His prediction regarding inflation came true starting that year, as Russia's efforts to support the ruble caused an increase in prices for Russian goods in Kazakhstan, he told Caravanserai. Kazakhstan also suffers another consequence of being yoked to Russia: international sanctions on Russia, like those imposed after its illegal annexation of Crimea, end up affecting Kazakhstan too, according to Krivosheyev. As a result, Kazakhstan "has been pushed off the world agenda", he said. "In spite of [Kazakhstan's] efforts to distance itself from our EEU partner [Russia], we can't break out of this bond." Moreover, anti-Russian sentiment has grown among Kazakhstan's embittered elites, he said. Calls within Kazakhstan to abandon the union are growing, Krivosheyev said, even though detractors recognise that Kazakhstan would lose the ability to export easily on familiar, Soviet-derived trading routes. Joining the EEU has hit Kyrgyzstan hard too, said Kyrgyz economist Iskender Sharsheyev, who heads the GTS consultancy in Bishkek. The Kyrgyz economy abruptly lost its lucrative business of importing cheap Chinese goods and exporting them to other CIS countries, once the country was forced by EEU regulations to impose tariffs on non-EEU merchandise, he said. Companies that had thrived on that trade collapsed, he said. "By my estimate, one in five enterprises in Kyrgyzstan producing food from grain, candy or alcohol has folded," he told Caravanserai. 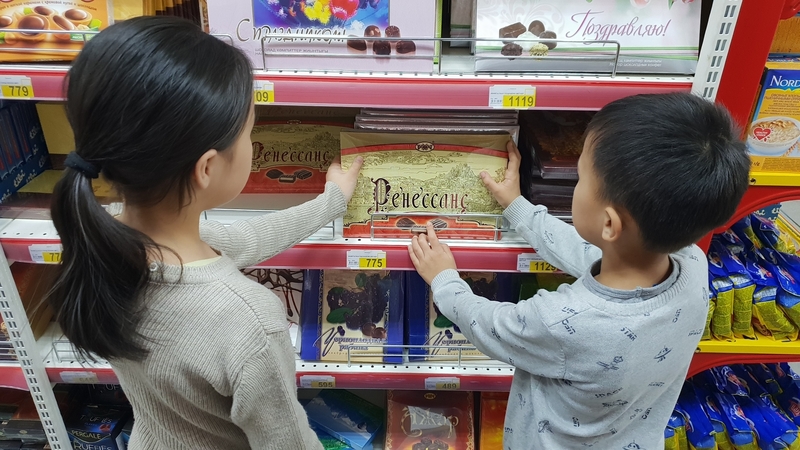 At the same time, the local market has been filled with smuggled Russian goods that cost less than Kyrgyz goods but are lower quality too, he said. With the Chinese re-export business decimated, resource-poor Kyrgyzstan has become even more reliant on remittances from migrants working in Russia, EurasiaNet reported last December. In the first nine months of 2017, Kyrgyz migrants predominantly living in Russia sent home $1.6 billion (109.2 billion KGS), $320 million (21.8 billion KGS) more than in the same period of 2016. "The EEU is advantageous only to Russia," Sharsheyev said. "The hopes that small countries with weak economies would be able to sell more goods to 'big brother' turned out not to bear fruit." Kyrgyz today "are experiencing a crisis because inflation is eating up their income while the [economy's] reserve of stability is being drained", he said. "People [in Kyrgyzstan] survive and solve their problems, not thanks to [co-operation with Russia], but in spite of it," he said. Other disappointments have befallen Kyrgyzstan since it joined the EEU, he said, citing the breakdown of a strategic hydroelectric project. Before Kyrgyzstan joined the EEU, the Kremlin promised to finance construction of the Kambar-Ata-1 Hydro Power Plant in Jalal-Abad Province, but it has not met its obligations. This project is of enormous significance to Kyrgyzstan's plan to achieve energy security. The EEU will not last long in this unsatisfactory form, Sharsheyev predicted. "The organisation will be overhauled or liquidated," he said. "Most likely, there will be a transformation to another functional plane. And it will be essential for the participating countries, particularly Kyrgyzstan and Kazakhstan, to focus on globalisation and to open up world markets for themselves." Kazakhstan also finds itself in the same untenable position. For Kazakhstan, trading with Russia is "clearly unfavourable", Almaty economist Petr Svoik, told the 365info.kz news site in May. Kazakhstan runs a trade surplus with the European Union, he said, adding that three-fourths of Kazakhstan's raw material exports go to Europe, while it imports few costly goods from there. "However, with Russia, we run a $10 billion [3.3 trillion KZT] trade deficit per year," Svoik said. "We export few of our raw materials (Russia has enough of its own), but imports from Russia continue to occupy first place." The Kremlin's decision to extend a ban on transporting Ukrainian goods through Russia to Kazakhstan and Kyrgyzstan is bad for business and unneighbourly, analysts say.